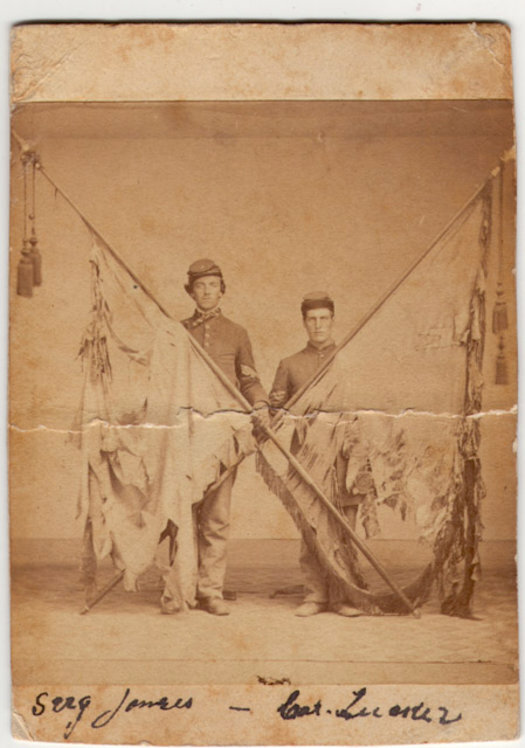 In May 1863, just two years after they left the battlefields, the men of the 16th returned home, first to Albany and then to the north country. The Regiment left with 798 men, and received 163 recruits during the two years. It returned home with 281 officers and men. It lost a total of 665 men, including 120 killed, 421 wounded, and 124 missing. "The appearance of the men, in their war-worn garments, the torn banners in shreds, and the fifteen wounded, were cheered enthusiastically by the vast concourse of people assembled to meet and welcome the first regiment to depart and to return. No eye was dry, and as the boys moved through the streets, their sadly thinned ranks brought grief to every heart. At 11 o'clock the fire department in strong force and gala attire received the war-worn veterans at the Arsenal. On their appearance they were vociferously cheered by the assembled positions with the promptness and precision of true soldiers." "The tattered banners which had been borne through 11 battles attracted universal attention. They were literally in shreds, but every shred is a momento of honor." Civil War, colors of 16th Reg. The regiment remained at Albany for several days to be paid off and mustered out of the service. While there, the officers presented a magnificent sword to Col. Howland, and the men gave an elegant Bible to Mrs. Howland. On May 18, Col. Seaver gave a farewell address to the men, his last order to the Regiment, and on May 22, the Companies were mustered out and the men returned to their homes, many to reinlist in other regiments and others to take their places in their communities.